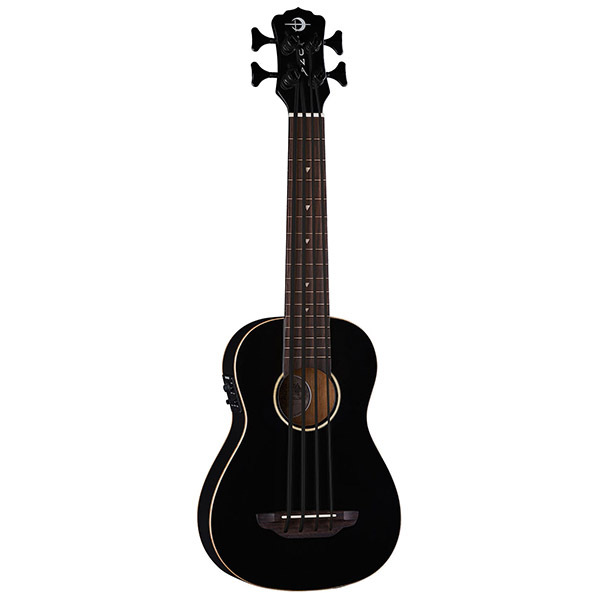 The Bari-Bass Tattoo Mahogany marries deep vibrant tone with the signature Luna aesthetic. 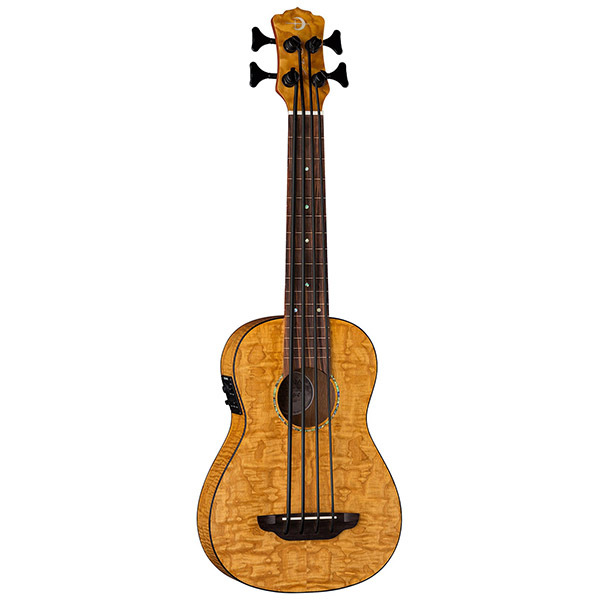 Each Bari-Bass ukulele come standard with 20.2" scale length. 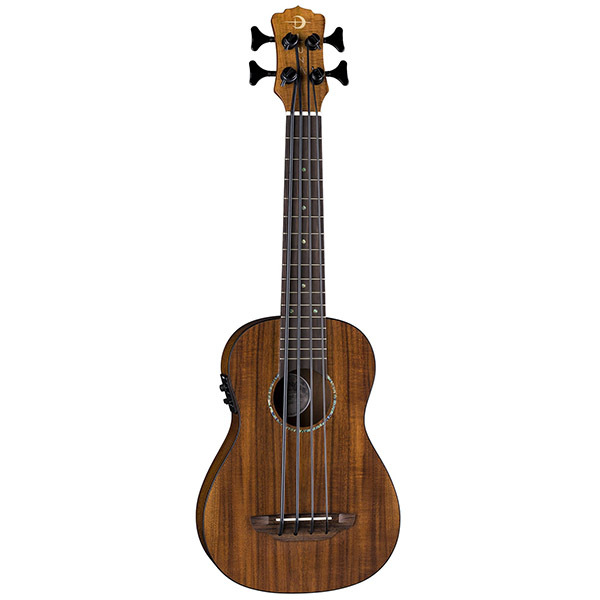 The Uke Bari-Bass Tattoo Mahogany is made with an all mahogany body, set mahogany neck with walnut fingerboard and sturdy die-cast open gear tuners. 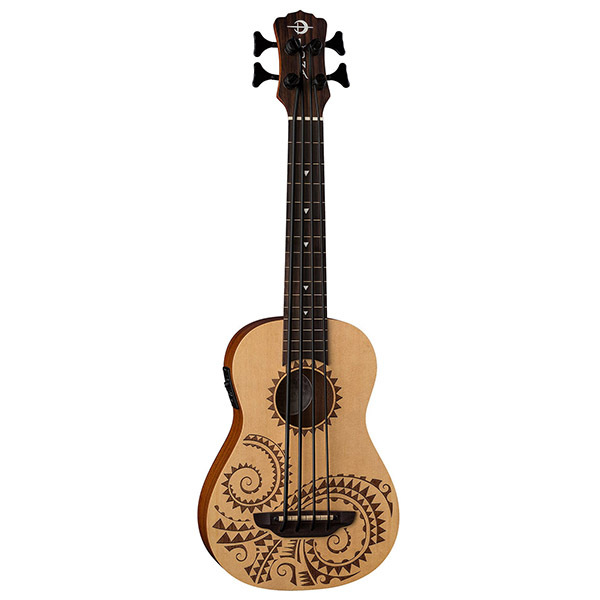 Folks will fall in love with Luna's signature laser-etched Tattoo Pacific-inspired design, on and off the stage. Plug in and amplify your performance with Fishman Clasica II active preamp system with built in tuner. Strung with Aquila Thundergut strings make this instrument a joy to play. Branded gigbag included. Join the tribe today!